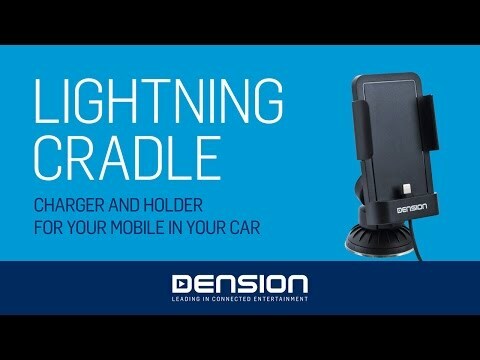 The Lightning cradle connects an iPhone 6 or iPhone 6 Plus easily and conveniently to a USB port (including the ones on the Gateway 500S series, Gateway Pro BT or the LIA). The position of the Lightning connector is adjustable to fit any phone thickness or case type. Compatible with any head unit or entertainment system that supports iPhone over USB.